For the past few months I have been vaping on, and trying out a range that I was introduced to by Alfa Labs. 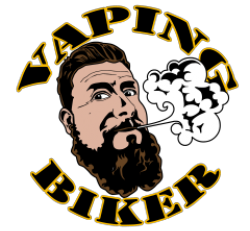 Yes I have been on it for a few months BUT I wanted to bring out the review just before Vaper Expo – The Return 2018, in the hope anyone visiting Expo will go check these guys out (for no other reason than it’s damn good, as you’ll read here). Let’s do some homework. Time for some website blurb… “Backed by 10 years of vape industry experience, Alfa Labs Ltd manufacture and distribute some of the finest and most competitively priced premium E-Liquids on the market.” Now my thoughts. These guys are a UK company who are bringing out really clean e-liquids with some really interest flavours. Customer service is spot on from the emails I’ve sent them, and their prices seem fair and competitive. 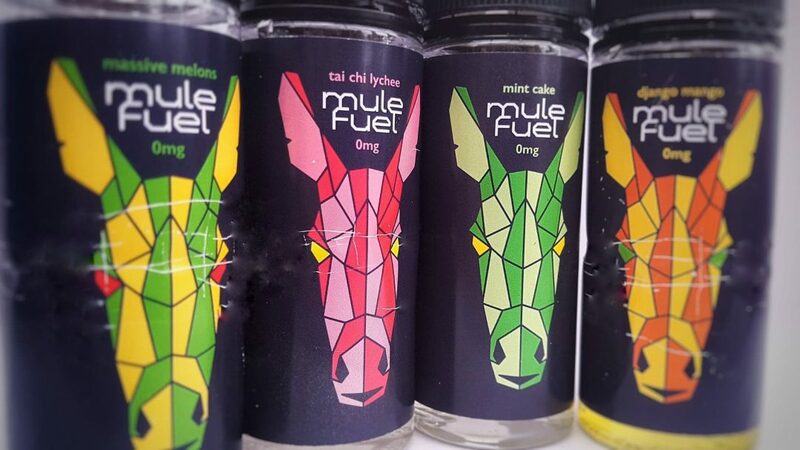 The range I have been trying is Mule Fuel. There are 5 in the range and they are White Rabbit, Massive Melons (Editor’s note: stop sniggering at the back lol), Tai Chi Lychee, Django Mango and Mint Cake. I got each flavour in a 100ml short fill bottle. I put 20ml of Alfa Labs nicotine in to each of them to hit the level I like (3mg). With each of the juices, I have made sure I have used the exact same set up. My Basium at 50 watts and the Recurve RDA hosting a Clapton coil. Let’s get started shall we? Getting a sweet biscuity/baked smell on opening the bottle. Sweet on the inhale, and by that I mean that by breathing in the aroma of the juice it gets the taste buds salivating, and then the flavours follow. Ok so the smell is nothing like the taste. Creaminess hops forward, possible hint of vanilla here and then moves to a taste I recognise well, Raspberry. After the raspberry I get a taste that reminds me of white chocolate buttons, once they have melted in the mouth, and then raspberry creeps back in. It’s a surprising and really nice flavour. I am not normally a fan of this flavour profile but I think this will be a ‘go to’ after having dinner and needing something sweet. I am not overly surprised when on opening the bottle I smell melon. Natural sweetness on the inhale then I have this explosion of melon. But there is more than one type of melon in this bottle. I can taste watermelon (reminiscent of a Jolly Rancher watermelon sweet) and I think there is cantaloupe and possibly honeydew. I’m not really a fan of melon in any of it’s guises BUT I have enjoyed vaping on it. Being honest, if I vaped on it heavily, I felt a little ill, like eating too many sweets. But I have still enjoyed it. The melons stick with you on the aftertaste and linger for a while, just not an ADV for me. NAILED IT. From start to finish, it’s lychee all the way. It’s a strange flavour to vape on if I am being honest. It’s a dry, subtly sweet, blunt flavour but its lychee, reminds me a little of rosewater. I have genuinely enjoyed vaping on this over the past month. It’s delicious, smooth and refreshing as it’s different from other ‘traditional’ vape flavours. Bravo Alfa Labs, bravo! This is like the melons in as much as opening the bottle I get Mango. And from opening the bottle to the aftertaste, nothing but mango. Perfect level of sweetness with such a strong flavour. It is just like having mango in your mush! Again like the melons, too much vaping on it (for me personally) and I felt a tiny bit ill. But that didn’t stop me going back to it after having a break. I expected a baked cake with mint to go on with this one. Opening the bottle (no surprise) there’s mint! A little cool and sweet over the tongue on the inhale and then there is nothing but a spearminty type mint. But it’s not like a menthol where its chilly like ice, it’s proper mint!! The flavour reminds me of the spearmint chews I loved as a child, with a little infusing of a humbug. I have to say the word ‘Cake’ in the title put me off a bit and made me hesitant to try it. Only because I have not enjoyed cake/dessert e-liquids before and believed I would not like this one. But I was wrong! This is just proper mint, in more ways than one! Alfa Labs have done an awesome job! The juices that are a specific profile are spot on. The melon is melon, the mango is mango etc etc. There is something for everyone here. I am very impressed with the Mule Fuel range. The flavours are great, the liquid itself is super clean, I could run multiple squonk bottles of juice through a coil and they didn’t gunk up the coils or wick, they have the right levels of sweetness and the awesome pricing of £17.99 for 100ml. Out of all 5, Tai Chi Lychee is my favourite. I understand they’re going to be at Vaper Expo this Month on stand C410 (according to the website). Why not check them out and try them out for yourself. Thanks for reading, and if you’re there, see you at Expo! These products were given for the purposes of trying only, the review has not been influenced in any way, and is are Mrs VB’s personal thoughts.